From Mediaite: Can the Bush Doctrine justify murder? Mediaite writes, “The defense team for a man suspected of killing two of his neighbors on Labor Day has cited the use of pre-emptive force, as laid out in the ‘Bush Doctrine,’ as a justification for his actions. As Florida Today reported this week, the attorneys for Titusville, Fla., resident William T. Woodward filed a motion requesting that he be acquitted of all charges under the state’s ‘Stand Your Ground’ laws, which states that people have the right to self-defense without obligation of retreat from the situation. 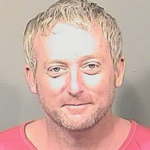 According to police, Woodward snuck up on three of his male neighbors during their Labor Day barbecue and proceeded to shoot them. Two of the men did not survive the assault.” Read the full story here. From Gossip Cop: Is Jessica Simpson planning a Valentine’s Day wedding? Gossip Cop investigates, “Jessica Simpson is ‘dreaming of a Valentine’s Day wedding,’ reports OK! Oh, what happened to the fall wedding the magazine claimed the star was having? And what about the summer ceremony the tabloid reported Simpson was planning last year? Anyway, OK! now alleges that the mom of two is ‘eyeing’ Valentine’s Day for her and Eric Johnson’s nuptials, quoting a supposed ‘insider’ as saying that Simpson thinks ‘having her wedding on Feb. 14 would be the ultimate Valentine’s Day memory.’ The purported “source” says that Johnson ‘doesn’t care what day they pick,’ adding that he’s told pals, ‘Whatever makes her happy.’ So, is Simpson really planning to tie the knot on the most popular wedding day of the year? Nope. Gossip Cop checked in with a source close to the star, who tells us Simpson and Johnson still have yet to set a date for their ceremony.” Read more here. 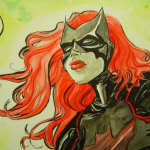 From Geekosystem: Batwoman has lost its writers due to creative differences with DC. Geekosystem explains, “Batwoman has consistently been one of the best titles in comics since it first hit shelves in September 2011. However, as we all know, DC likes to ruin everything it touches. So it’s not surprising (but still soul-crushing) that writers J.H. Williams III and W.H. Blackman are leaving the book due to editorial changes demanded by DC… Specifically, they explicitly told the writers of Batwoman that Kate Kane and her longtime girlfriend Maggie Sawyer, to whom she recently proposed in the February Batwoman 17issue, were under no circumstances to actually get married in the comic.” Read the whole story here. From Styleite: What are the style trends at the U.S. Open? Styleite answers, “Sneakerheads have even more competition for the next kicks du jour. 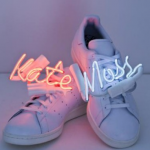 Kate Moss, Naomi Campbell, andKylie Minougue have each designed limited edition adidas trainers, which means that the sample sale shopping fashion junkies will be unleashed – and we know that this can yield some serious destruction. The good news is that the wearable art will actually be going under the hammer online for non profit organization Platform 6 benefitting civil rights charity Stonewall, which means that there will be no lines around the block à la Nike’s Air Yeezy II circa 2012. Moss revamped the classic tennis shoe, which was named after former World No. 1 American tennis player Stan Smith, by adorning the laces with neon tubing that spells out her name, as it “emulates recent works of many contemporary artists.”” See the shoes here. 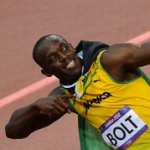 From SportsGrid: Will Rio be the end of the road for running phenom Usain Bolt? SportsGrid reports, “This really, really sad news. Usain Bolt, the fastest human ever to run this Earth, is planning to retire after the 2016 Summer Olympics in Rio De Janeiro. In typical Bolt fashion, he said extremely cocky things that were somehow tasteful: ”I think it will be a good time to retire,’ Bolt told the Associated Press, adding, ‘on top and just been dominating for so long.’ Bolt, 27, said he wants to again win gold in Rio, as well as set the world record in the 200 meters. He has won six gold medals in all, three each at the last two Olympiad.’ This is three years away. Enjoy the man while you can, before he gets up and bolts.” Read the full story here. 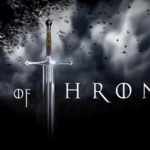 From The Mary Sue: There’s quite a bit of Game of Thrones news tidbits today, including which character has been recast (for the second time) and which new characters we know we’re seeing in season four, plus who’s playing them, brought to you by The Mary Sue. Writes the site, “The recast character is Gregor Clegane, aka The Mountain That Rides. He appeared in season one played by Conan Stevens and season two played by Ian Whyte. After being MIA in season three, Sandor’s evil big brother will be back in the form of Hafþór Júlíus “Thor” Björnsson, an Icelandic strongman competitor. If memory serves Gregor didn’t really have a lot to do in seasons one and two other than stand around and look big and scary, but book readers will know he’ll have a bigger part to play in season four. As for the new characters, they’re all fairly minor.” Continue reading here. From The Jane Dough: Writes the site’s Colette McIntyre, “I don’t know about you but I like to start my day off with either a hearty laugh or a piteous, messy, mewling cry, the kind that never really ends but just settles right beneath the surface so that any obscure look in my direction or heartwarming YouTube video sends me back into a downward spiral of gulping, sputtering, and snot. 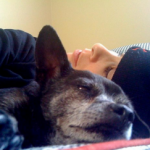 Usually I would turn to Sarah Silverman for the former but thanks to a surprisingly touching eulogy the comedian wrote for her dog, today has become a lay-down-in-the-dark-and-dissolve-into-a-puddle-of-flesh-and-emotion kind of day. On Monday, Silverman’s beloved dog of fourteen years, Duck, passed away… Yesterday the comedian shared ‘an obituary type thing’ about the long-term companion who gave her happiness and ‘unwavering…love. '” Read it in its entirety here. From The Braiser: Curtis Stone was not too pleased with a dish presented to him on Top Chef: Masters last night. Reports The Braiser, “Add it to the Bravo record books: in addition to Padma Lakshmi’s two-and-only spit-takes, Curtis Stone racked up one for himself on last night’sTop Chef: Masters. Due to a horrendous error in wood chip-purchasing time management,Sang Yoon was forced to serve a cold dashi-cured sablefish dish, on a hot plate, prepped in a hot kitchen. As you can imagine, there were some…textural issues. Textural issues by which Curtis Stone’s beautiful Aussie mouth could not abide.” See video of the error and tasting here.